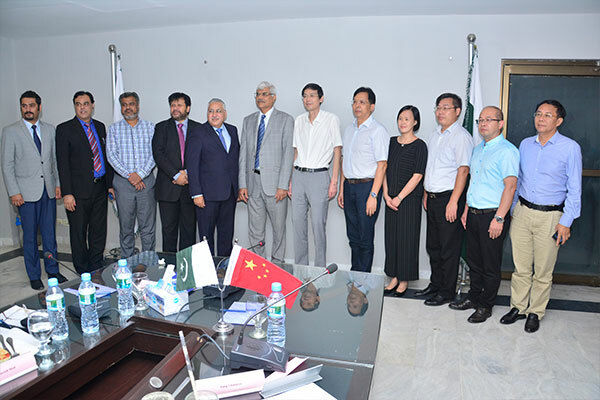 A delegation from Jiangxi University of Traditional Chinese Medicine, China, headed by President Chen Mingren, visited UMT to investigate China-Pakistan collaborative projects on Traditional Chinese Medicine (TCM,) scientific research, medical service and industrial development. 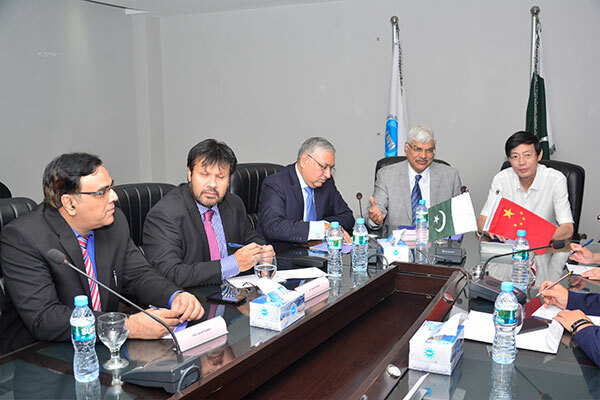 The delegates held detailed discussion with Dr Muhammad Aslam, Rector UMT, Abid H K Shirwani, Director General, UMT, Dr Muhammad Naveed Afzal, Director, School of Health Sciences, UMT, and high ranking officials. 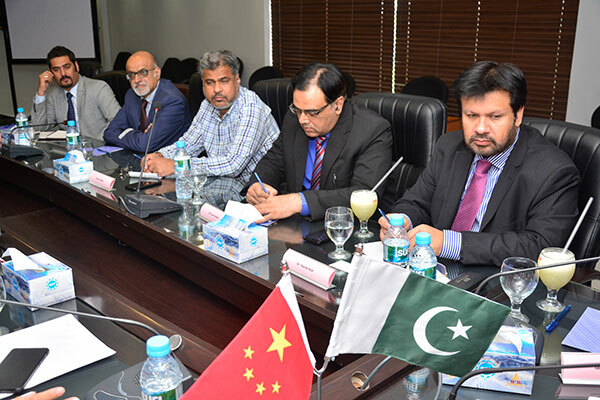 The delegation also discussed relative issues with regard to the cooperation based on fully exchanging ideas and suggestions. The Jiangxi University of Traditional Chinese Medicine delegates included Zhong Guoyue, Director, Research Center for Chinese Medicine Resources and Ethnic Medicine, Wu Xiaoming, Director, Qihuang TCM Experiencing Center for Foreign Dignitaries and Office Director, Leading Group for TCM Internationalization, Liu Zhongyong, Dean, Clinical Medicine College, Zhou Zhigang, Dean, International Education College, and Yang Changxin, Director, Office of International Exchange and Cooperation. 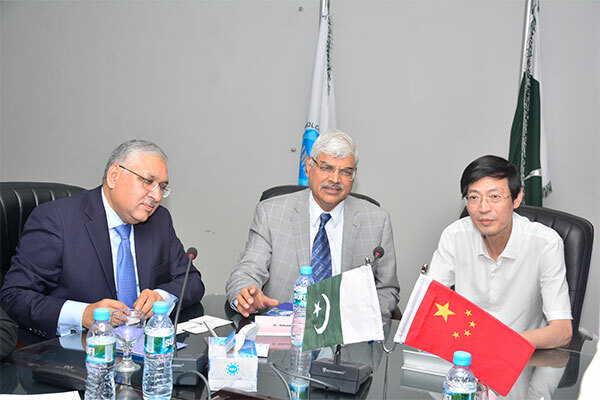 The delegation showed keen interest in collaboration with UMT. 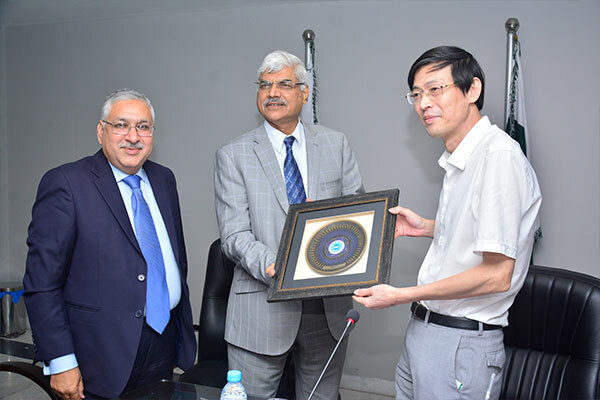 The event concluded with a note of thanks from the delegation head followed by souvenir presentation and a group photo.